Consumers looking for ways to treat dry, flaky skin may come across a synthetic ingredient called pentylene glycol. This chemical is often formulated into skin creams and moisturizers, because of its ability to help the skin retain moisture. In addition to its humectant properties, pentylene glycol is also said to have anti microbial effects, which can help keep skin care formulations intact longer. However, some studies suggest that pentylene glycol may be harmful to the skin and to the body. For example, select data suggests that this chemical may cause toxicity in high amounts, while other studies point to potential skin irritation. Because of the potential issues associated with this ingredient, consumers with sensitive skin or a history of rashes may benefit from pentylene glycol products with their dermatologist, before use. How is Pentylene Glycol Used? Pentylene glycol is commonly used as a skin conditioning agent, due to its ability to help the skin attract and retain moisture. As such, it falls into a category of skin care ingredients called humectants. Other ingredients in this group also include honey, aloe vera, and butylene glycol, among others. Additionally, pentylene glycol also has some anti microbial properties, which can make it a valuable addition to products that are susceptible to contamination of microorganisms. However, it’s important to note that it is not common for pentylene glycol to be the main ingredient in skin care formulations. 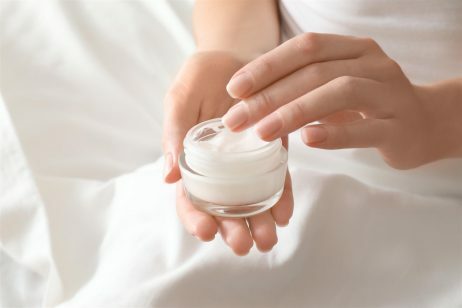 Instead, this chemical is often added to as an additional moisturizer to a cream, or other skin care product, to further condition the skin and improve texture. Many products contain pentylene glycol, as this ingredient has gained wide acceptance in the skin care industry and is thought to have relatively few side effects. For example, this chemical is often included in items like undereye cream, face masks, nail polish, sunscreen, BB creams, and much more. One such product containing this ingredient is Cetaphil Restoraderm Body Lotion. This cream is designed to moisturize the thicker skin on the body, and can be especially useful during winter months or for those who have overly dry skin. In addition to pentylene glycol, this Cetaphil lotion contains other moisturizing ingredients like glycerin, capric triglyceride, and sodium hyaluronate. Another skin care product with pentylene glycol is a drugstore cream called CVS Extra Healing Moisturizing Lotion for Extra Dry Skin. This cream is also designed to address the symptoms of severely dry skin. The pentylene glycol is only one of many moisturizing chemicals in this formulation, which also includes dicaprylyl ether, glyceryl dilaurate, and glycerin. Those consumers who are struggling with acne may come across pentylene glycol in products like the Clarisonic Daily Clarifying Cleanser. The goal of this cleanser is to effectively remove dirt and oil buildup from the surface of the skin, without over drying. In addition to pentylene glycol, this cleanser formulation includes ingredients like lactic acid, to gently exfoliate the skin; salicylic acid, to cleanse pores; and tocopheryl acetate, a vitamin E derivative that repairs skin damage and acts as a natural preservative in skin care products. No serious side effects are believed to be associated with pentylene glycol, and it is widely included in many skin care and personal care products. However, some studies point to potential toxicity dangers when large amounts of this chemical enter the body. Although it’s important to note that the typical amounts of pentylene glycol in a face or body cream will typically not reach such high levels of concentration. 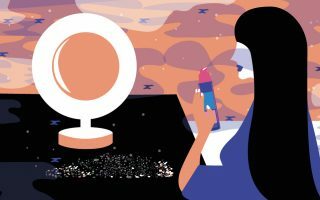 However, consumers who use lipstick or lip balm with pentylene glycol may want to exercise a degree of caution, as the product can be inadvertently consumed while on the lips. In addition, some studies suggest that pentylene glycol can cause skin irritation in consumers with sensitive skin. Therefore, it’s a good idea to conduct a patch test on an inconspicuous part of skin before using products with this ingredient all over the body. Consumers who are concerned about possible side effects from pentylene glycol can find many alternatives to this ingredient. In fact, many natural ingredients can have similar properties to pentylene glycol, but are used less often by manufacturers because they are more expensive. For example, natural honey has many of the similar properties. It is an excellent moisturizer and helps the body retain moisture by fortifying the skin’s natural barrier. Additionally, honey is prized for its antimicrobial abilities (the high sugar content in honey prevents bacteria from growing – and hence you almost never need to refrigerate honey even after opening it). When considering preservative properties, vitamin E can also be a viable alternative that keeps the product formulation fresh. In addition, vitamin E has strong antioxidant properties that repair skin damage; something that pentylene glycol does not do.